Nokia was a pioneer in most of the aspects of mobile telephony: the Finnish company launched the first cell phone with camera; it was the first to include 3G and a GPS in a phone. The Nokia 1100, released in 2004, is still the history’s best-selling phone and the 5230 (2009) is the best-selling smartphone ever. From 1988 to 2012, Nokia was the indisputable best-selling mobile phone company worldwide. But in the last years its market share dropped, as a direct consequence of the release of other smartphones like iPhones and Androids. Nokia was originally founded as a paper manufacturer by Fredrik Idestam in 1865. Idestam established two groundwood pulp mills in South-western Finland, in the nearby town of Nokia. In 1871 Ideastam and Leo Mechelin transformed the firm into a share company, thereby founding the Nokia Company. In the late 19th century Nokia added electricity generation to its activities and they developed its first electronic device in 1962. Then the company began development on radio telephones for the army and emergency services. By 1987 Nokia became the third largest TV manufacturer in Europe. After that, Nokia released the Nordic Mobile Telephone (NMT) service, the world’s first international cellular network. In 1982, while the mobile phone industry expanded around the world, the company introduced their first car phone, the Mobira Senator. In 1987 Nokia launched the Mobira Cityman, the first handheld mobile phone for NMT networks. Nokia soon became the leader in the mobile phone industry and GSM was adopted as the European standard for digital mobile technology. In 1994 Nokia launched the 2100 series cell phones, selling 20 million units worldwide. By 1998 Nokia established itself as the world leader in mobile phones sales. In 1999 they released the Nokia 7110, which had rudimentary web-based functions, including email. In 2001 Nokia launched its first phone with a built-in camera (Nokia 7650) and, one year later, the first video capture phone (Nokia 3650). Nokia 6650 was Nokia’s first 3G phone (2002), which represented a radical technological shift: since then, phones were able to browse the web, download music or watch TV. By 2007 Nokia was the fifth most valued brand in the world, but just two years later the company experienced its first quarterly loss in more than a decade, probably because the HTC Dream release, which was the first phone using Android. 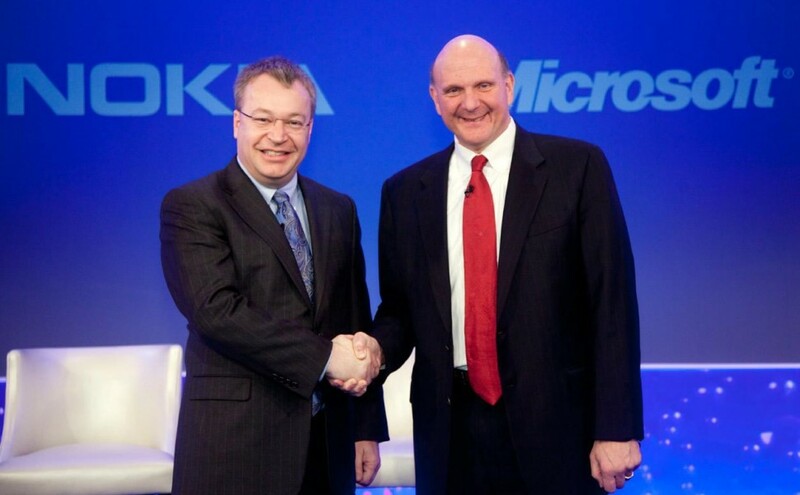 In 2010 Nokia admitted its inferiority to Microsoft’s operating system and the company moved away from Symbian and established a partnership with Microsoft. Since 2011 Nokia produces its flagship devices, the Lumia smartphones (from November 2014 called “Microsoft Lumia”), which are well-received by users thanks to their affordable prices and high quality. Nokia’s first tablet, the Lumia 2520, was launched in 2013. Anyway, in 2012 Samsung surpassed Nokia as the largest producer of mobile phones. Right now, Nokia enjoys good health, although it will maybe never be as successful as it was at the beginning. Anyhow, the company offers very interesting and accurate devices, with all the features of its competitors and a smooth OS that works really well. 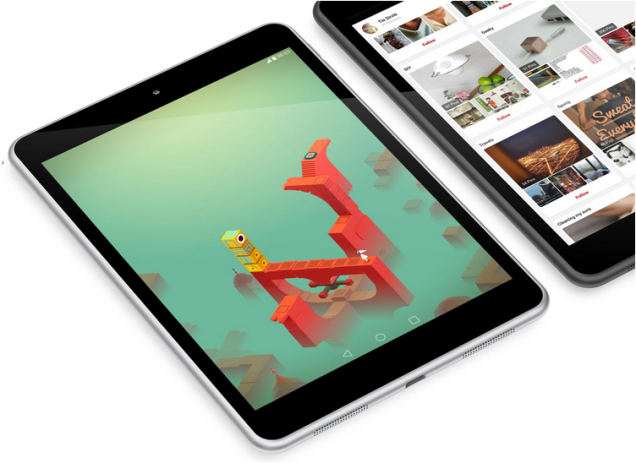 Nokia’s N1 is a 7.9-inch tablet at an official price of 249€. It is smart and fast, very compact and built in a one-piece aluminium body, sandblasted for a satin finish. In fact, its design looks pretty similar to an iPad. This is the first Nokia tablet to use Android 5.0 Lollipop, so it will come with all the Google and Google Play apps. The N1 is also Nokia's first mobile device since the sale of its original mobile phone company to Microsoft earlier in the year. The N1 comes with Nokia Z Launcher, the home screen that makes things simple: you just have to scribble a letter to find whatever you want. In addition, the N1 adapts to where you are and what you’re doing to bring you the right app, right when you need it. Nokia’s N1 is powered by a 64-bit Intel quad-core processor, it’s just 6.9mm thin, weighs 318g and it’s available in two colours: Natural Aluminum and Lava Gray. It will be the first tablet to include a USB Type-C reversible connector. The main characteristic of this kind of connector is that it is reversible, so we can use our USBs on both ways. The screen is an IPS panel with LED backlight, with a 2048x1536 pixel resolution. It has 32GB storage and 2GB RAM memory. Finally, the N1 has two cameras: an 8 MP rear-facing one with autofocus and a 5 MP front-facing camera with fixed focus. It can record video at 1080p. The N1 was successfully launched in China on 7 January 2015, with a release in European countries to follow. For the moment, it is unknown whether the N1 will be launched in any other regions.